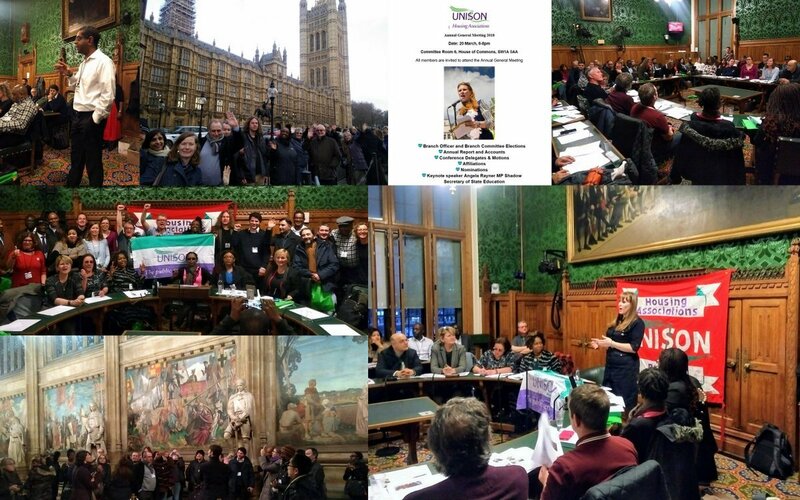 Last night my branch held its Annual General Meeting at the House of Commons courtesy of our Keynote speaker Angela Rayner MP, Shadow Secretary of State for Education. Beforehand we had organised a tour of Westminster Hall and the public areas of the Palace. 35 members and guests turned up for this alone. Many thanks to my fellow West Hammer colleague Julianne Marriott for sorting this out. Angela spoke passionately about the positive role of trade unions and how becoming an UNISON activist had helped her progress from being a care assistant to becoming a MP. I first met Angela when she was a UNISON Young Member at Labour Party conference. The AGM passed our annual report, elected our executive committee and debated motions and affiliations. Afterwards we had a social in a local hostelry in Whitehall. It was the best attended branch AGM that I had known in 10 years and as our regional organiser Colin Inniss mentioned in his verbal report, there was a real buzz at the meeting. Many thanks to Angela, tour guides, our staff and the Chair, Tony Power, for such a successful meeting.